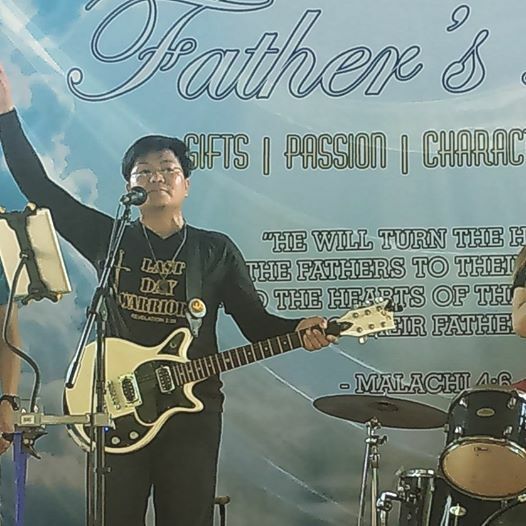 This picture was taken during the youth mission camp, honestly it was very tiring for me and my husband but I am humbled by his relentless passion in serving the Lord through music, he led the worship for 4 days straight for all morning and afternoon sessions but he did not complain a bit. When we got back to Manila, we immediately went back to work, no time to rest for both of us, I grumbled for not being able to at least rest but he did not. And guess what? He bought me my very own mini Ipad as his wedding anniversary gift. I was surprised and I was happy. I am so thankful I have the kindest husband ever. Now I wish I could also give him a gift, maybe something from dean guitars or something that he needs for his recording studio. Saving up for that now. Will make sure he'll be surprise also. We both have great husbands. We are most fortunate.